A handful of vehicles have been spotted with some visual changes to their current forms on the current Shop Common Test. These icons show on the new splash screen which now pops up after purchasing a new vehicle. The vehicles themselves have yet to be changed in the actual game, but their icons differ visually from their current state -- several of which reflect information previously mentioned by Wargaming. It is currently unclear whether these are planned to come to the actual game - nothing has been confirmed as of yet - but anything is possible. Read on to see the icons, as well as some background info. Disclaimer: These icons alone neither confirm nor deny any changes to the vehicles they represent. They have likely been mistakenly taken from internal tests of these vehicles, which are not guaranteed to make it onto the live server. Until officially confirmed by Wargaming, it is probably best to take these with a grain of salt. With that in mind, here they are. There were also a lot of questions about Grille. In fact, we were close to introducing one of the variants either in the 9.20 update or in the next one. We honestly admit that we have decided not to hurry. We have to check the Grille's modifications as part of internal tests. This means that neither drastic changes nor conversion of this machine to another one should be expected before the end of the year. Work in progress. It has almost been an entire year since this was spoken, and the Grille still remains the same as of today -- however, it is entirely possible that these changes may still be in testing for the future. Regardless, only time will tell what will become of this vehicle. This appears to show the IS-4 with a turret similar to that currently seen on the stock ST-I -- which, in itself, is meant to replicate that of the Object 701, one of the prototypes which led up to the IS-4 historically. One additional detail to note: Unlike in the vehicle's previous icons, the ST-I is now shown with the 122 mm M-62, its' topmost gun, rather than the 122 mm D-25T (which it was shown with previously). A little while ago, Wargaming was considering introducing changes to the branch of heavily-armored Soviet heavy tanks, which mainly consisted of reworking/moving around the IS-4 and ST-I (potentially even swapping their places at tier X and IX, respectively). These icons could both potentially be indicative of such a swap involving these two vehicles' positions in the tech tree -- albeit, once again, only time will tell whether this happens or not. The existence of a historical plan to mount a gun of this calibre on the Chi-Ri is, to say the least, fairly dubious at this current moment in time, and even if it was true, the tank would've likely mounted the Type 99 AA gun, which historically had no muzzle brake. Regardless, this is how it appears to be in the current icon for the Chi-Ri. 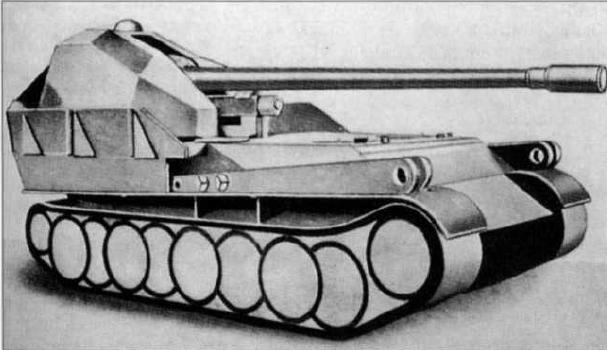 It is entirely possible that this gun may simply be a placeholder model for the Type 99 AA gun, or that the gun may have simply been a test to see how the vehicle would perform with such an armament. However, nothing has been confirmed for this vehicle thus far. We will have to wait and see what is (or isn't) in store for this vehicle. Beyond these, one new vehicle's icon has found its' way into the game files: an exclusive vehicle for the Chinese server, the WZ-111 Qilin. Also, while the vehicle's icon has made it into the client (and its' stats have been visible for several patches now), its' model still remains excluded, as with the rest of the server-exclusive vehicles (those being the Type 59 Gold and 113 Beijing Opera for China, and the Nameless/Edelweiss for Asia).